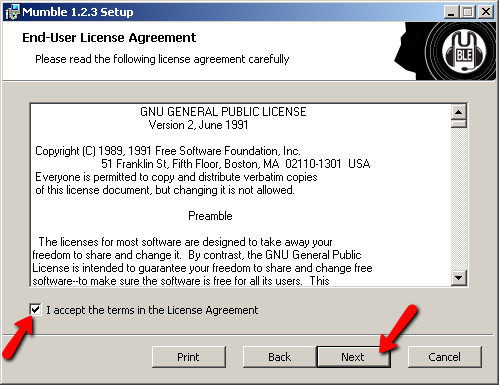 EULA’s, AKA - End User License Agreements, are the agreements most people ignore when they bypass reading the terms offered when they use any online software application today. This includes packaged applications (aka Shrinkwrap packaged products) and online downloadable purchases (aka Clickwrap products). These agreements determine what rights you have (if any) when it comes to the functionality and usability of the application you have paid for. It determines if you “own the product,” (a rare event today) or if you are licensed to use a product for any specific period. Basically, an End User License Agreement, is an agreement between you and the producer of the digital product (which can be any digital software, music, video or a combination thereof) which lays out what you can and cannot do with the digital product. It is my experience, that whoever creates an agreement, always make sure it protects them and restricts the rights of the person who is paying for the digital product. This means the agreement greatly favors the creator and limits the rights of the purchaser. 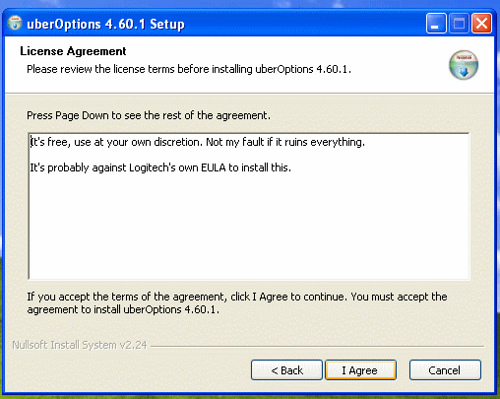 In fact, most of the EULA’s today's state that “YOU OWN NOTHING” when you pay for a digital product. They usually say you are licensed to use them and that the license to use can be withdrawn at any time! scary thought. Most EULA’s say that if you use or open the packaging and install the product, you accept the terms of the agreement. It was once believed that because people were not reading the EULA’s, that they could not be enforced. But this is not the case. Court cases have been ruled in favor of the digital products producers showing that only refusing to use the product would exempt plaintiffs from the terms of the agreement. The few exceptions have to do when a EULA’s terms go against existing laws protecting the consumer (like the right to make a backup etc.…). The bottom line is that EULA’s are mostly binding and in most cases severely limit the consumers' rights. If you want to research the legal aspects of EULA’s in depth, I have created a short list of articles I believe will satisfy your need to understand their scope of these agreements. Here is the list. legalvision.com - Question: What is an EULA? REUL Lab - What are EULAs? EULA: What's an End User License Agreement? 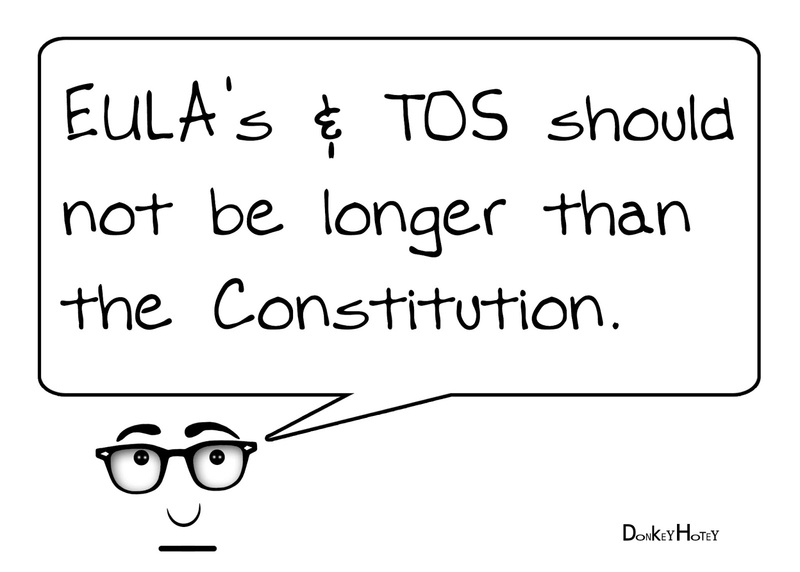 EULAs can run the gamut from the quirky, funny and ridiculous, to gotchas and dangerous clauses. These clauses can get your usage terminated, get you sued or even get you put in jail. For me, the primary questions about EULA’s are; Do I own the product? Do these agreements keep me safe? How does it affect my privacy and security? Are there weasel clauses in the agreement? Are there Gotcha clauses in the agreement? Are the terms ridiculous or worse, dangerous? In other words, are you better off now after you accepted their EULA? To answer these questions, my research took me in many directions. I read many articles from the developer’s perspectives, attorneys who specialize in writing these agreements and attorneys who fight for consumer rights. from MakeUseof.com, I found an article written by Chris Hoffman entitled; “10 Ridiculous EULA Clauses That You May Have Already Agreed To”. This article lists many funny and some not so funny EULA clauses that should give you pause to wonder about the company who offer that product, if not outright cause for alarm. I have yet to find one that says – “you give up the right to your first-born child or right arm,” but I am sure it’s just a matter of time. For example, in Chris Hoffman’s article linked above, it talks about how the iTunes EULA expressively forbids you from using iTunes to create any kind of weapons of mass destruction. Say What! Another example, was when Apple released Safari for Windows and its EULA stated that you could only load Safari on an Apple computer. Some have tried to restrict or enforce morality while others have stated that you will allow the producer the right to have an auditor inspect the licensee premises unannounced at any time. One company tried to have fun with the use of its EULA to prove that people don’t read them. In his article, Hoffman talks about how PC Pitstop offered a $1000 payout to a limited number of users who respond to the “prize clause” listed in their EULA. It also stated that this clause could be removed at any time. It took four months before anyone actually claimed the prize and then they quickly withdrew the clause. I took this to be a marketing ploy on PC Pitstop’s part, to generate PR and it seems to have worked. I highly recommend you read Chris Hoffman’s article linked above as it is very interesting reading. Now, let’s look at the so-called Gotcha clauses. Gotcha clauses are those weasel legal clauses that address items like; when you have to pay, early cancellation fees, automatic renewal dates, required credit check for approval and access to your personal info. In an article from PC Magazine written by Jared Newman called; “Top EULA Gotchas: Website Fine-Print Hall of Shame,” I found several “Gotcha Clauses” worth mentioning. For example; many of the social media site EULA’s state that you grant them the right to use any and all content posted by you on their sites, in any way they deem fit, in perpetuity. In other words, they own your content forever! Many of the EULAs mentioned in the article also talk about using “home” or “student” products from Microsoft, Adobe, and other companies for personal gain. This means if you use this product commercially (like to write this article), you're violating the agreement! And of course, like in Google’s EULA’s, they state that they have the right to share your data with 3rd parties including other businesses, law enforcement, and the government. Other clauses mentioned like the one from cloud services company Dropbox states that “you are responsible” for the protection of your data, kept on their cloud! Some EULA’s state that they can terminate your usage for modifying the device where the digital product is installed (i.e., Xbox & Play station users), or if, copyright infringement takes place, the digital product is hacked or is changed in some way. This means if you keep your content on the cloud, and that cloud company perceives you have violated its agreement, they can remove your data without notice or recourse, (i.e., delete your photos or other data)! Many of these EULA’s state that you agree to waive the right to a trial by jury or participate in a class action lawsuit. Another Gotcha clause state that they can change the rules at any time. To make this Gotcha even worse, when this does happen, they often don’t summarize what the changes are. I noticed that Banks now do this with their online website access and smart apps as well. Now let’s look at some Dangerous Clauses. An article By Annalee Newitz, entitled; “Dangerous Terms: A User's Guide to EULAs,” lists a significant number of clauses that can get you in big trouble if you violate them. In this section, I will summarize parts of this article. However, I also highly suggest that you click on the above link and read the article in its entirety. The first example I want to discuss is a clause stating that you cannot post a derogatory statement "Do not criticize this product publicly" clause. This clause not only prohibits you from making derogatory remarks but it also prohibits any watchdog entity from benchmarking products and comparing it to competing products. These clauses violate free speech and fair competition practices and make it harder for consumers to know which products are best for their use. Another scary clause listed in this article is, "Using this product means you will be monitored." I have written several articles about the erosion of our privacy over the years, and this clause affects our privacy directly. I believe almost all software applications monitor their usage in some way. 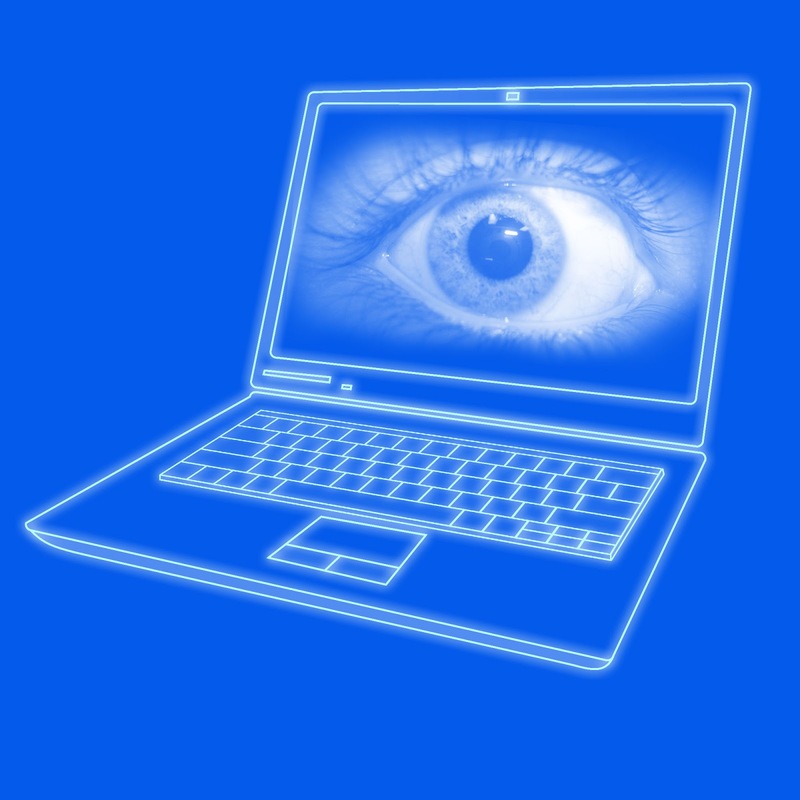 Microsoft, Google, Apple and many other companies directly monitor the usage of their products. This also means they are monitoring what you are doing with their products. In some cases, you can prevent monitoring by disabling this feature. However, when an update is installed, in many cases, this feature is re-enabled! The "Do not use this product with other vendor's products" is another scary clause you need to be aware of. These products are often used with so-called tagalong applications that get installed with the product you purchase. How can the average person “know” if the tagalong is compatible with applications you already own? These clauses usually restrict any alteration or removal of the tagalong because it may cost that company popup ad revenue. Again, in most cases, the average user just clicks next and often don’t realize they even installed the tagalong app until it’s too late. Here’s a really dangerous clause listed in the above-linked article, (about a clause on Apple iTunes store but not exclusive to Apple). 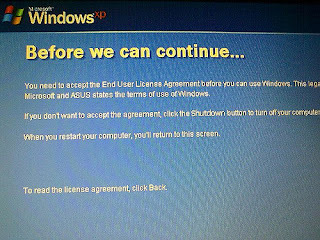 "By signing this contract, you also agree to every change in future versions of it.” What! They are asking us to agree to things that are unknown, unforeseen, have not been thought of, invented or could even harm our equipment, privacy, and security! These clauses usually state that if you continue to use their product you accept the new clause and any future clauses they can think of that restrict your rights. And of course, these EULAs are subject to change without notice." you to lose data? I have experienced this problem many times. Just last week, an update to my android smartphone wiped out all five of my favorite music playlists. The update did not wipe out my music, thank God, but the music playlists are nowhere to be found! These are common problems for millions of users of many different types of digital devices. I have seen antivirus/malware updates break operating systems where the computers had to be reloaded from scratch. I have seen Microsoft operating system updates cause catastrophic system failures requiring system re-loads from backup if not from scratch. This clause is the equivalent of a company stating that they are not responsible for what their product does wrong and that when that wrong harms you, you have no recourse! Just make sure you're making regular backups of your digital devices. When these dangerous clauses are combined, they severely limit any recourse a consumer has against these tech companies. If you add to this the problem that these agreements are too long, often require you to read linked sub-agreements written in legal-babble, you start to see why no one reads them. Most end users want to be productive, use their digital devices to explore data and have fun with their digital equipment, not have to deal with mistakes made by application vendors. In contrast, vendors and app developers are trying to cover their assets by restricting your rights so they can release their software code as advanced beta releases where we are the guinea pigs. This allows them to reap the rewards of their experimentation. In many cases, if you violate these EULA clauses, you are subject to usage termination (i.e., they hit the kill switch) or worse a lawsuit. I encourage every person reading this article to READ the next EULA you are confronted with so you can see firsthand how one-sided they are. Also, make sure you read the articles linked in this blog post, since they provide additional examples of Ridiculous, Gotcha and Dangerous EULA clauses. If you find a web application, social network or other smartphone application that harms you, log onto the net anonymously, (make sure you're anonymous) and leave negative reviews for that product. Please share this article with friends and co-workers. 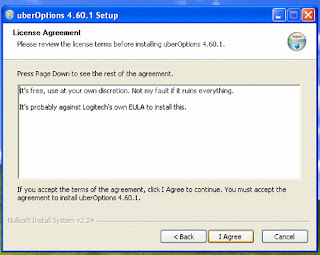 If we are ever going to gain back any of our end-user rights, we will have to start by educating the masses as to what they are signing when they click next, on the EULA acknowledgment screen. When I reflect back on all the harm, privacy issue abuse, and security breaches we have incurred, it makes me angry and frustrated that this kind of behavior is going on. Just think about this; Would you ever sign an agreement that says; “You will do whatever we want you to do, now, and in the future, no matter what?”, If you knew that clause was there in the first place? I don’t think you would sign it. No, I don’t think so! This article provides an enlightening look into the character and abuses that EULA’s engage in today. Examples are provided for Ridiculous Clauses, Gotcha Clauses, and Dangerous EULA clauses. An abundant number of links to other resource articles are provided, as well as details on what to watch out for in the EULA as you encounter. It further provides other ways to protect yourself and what to do when you are harmed. Please feel free to contact us with questions and request articles you’re interested in reading in the future by emailing me, at hectorc@workingthewebtowin.com. We love reading what you think about the blogs we publish. If you have a comment related to any of our articles, post them at the end of this blog in the comment section. If you would like to advertise on this blog (it receives 50,000-page views a month minimum) contact me by email at hectorc@workingthewebtowin.com. If you or your business could use some help with marketing, give us a call at 904-410-2091. We are here to help. You can also fill out the form in the sidebar of this blog. It will allow us to provide you with a free marketing analysis designed to help you get better online results. Our claim to fame is that we are one of the few companies that actually provides ironclad written guarantees. 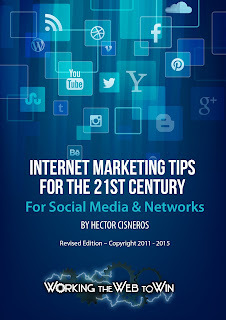 Don't forget to sign up for your FREE eBook! 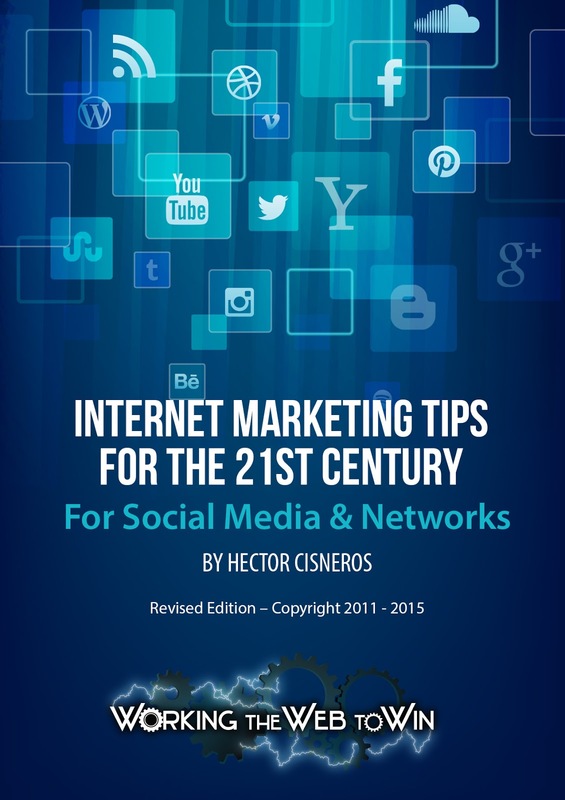 Hector Cisneros is COO and Director of Social Media Marketing at Working the Web to Win, an award-winning Internet marketing company based in Jacksonville, Florida. 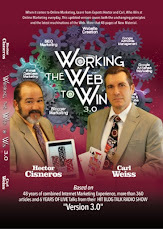 He is also co-host of the weekly Internet radio show, "Working the Web to Win" on BlogTalkRadio.com, which airs every Tuesday at 4 p.m. Eastern. If you would like him to look at your web presence, email him and he will provide you with a web presence analysis, free of charge, to help you better understand your internet position.